An era with close connections to Germany was the Kosmos Era. 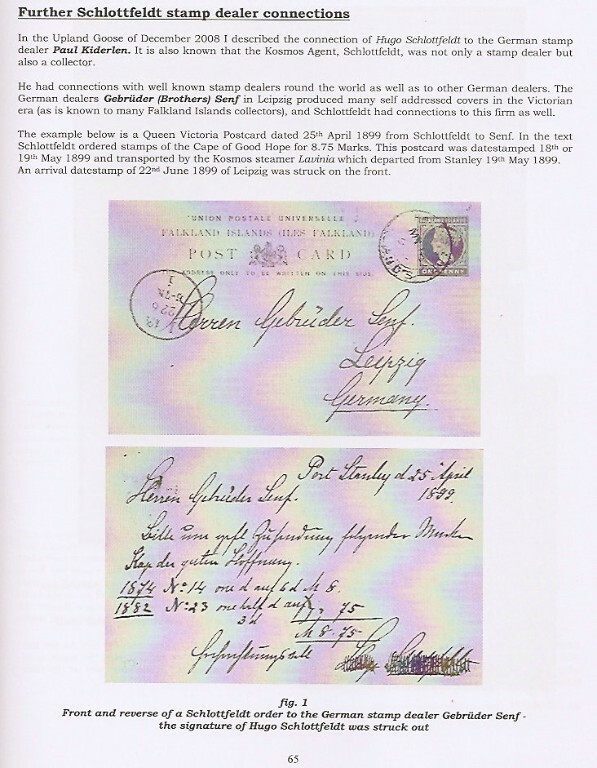 In the time between 1880-1901 the German Steam Shipping Company Kosmos (Deutsche Dampfschifffahrtsgesellschaft Kosmos) carried the mail of the Falkland Islands on the outward and inward direction between the Falkland Islands and England. One of the most interesting persons involved to that connection was Hugo Schlottfeldt as shipping agent, living in Jubelee Villa, Stanley with his wife Magda. Hugo Sch. was a keen collector of stamps and a 2nd job stamp dealer with many conncetion to the whole world. 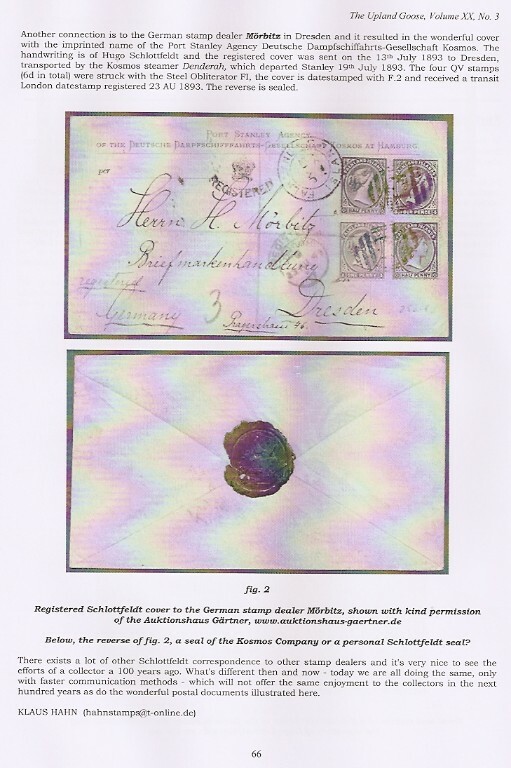 A lot of postal history covers and postcards have survived and enjoy the postal history collections of philatelists.